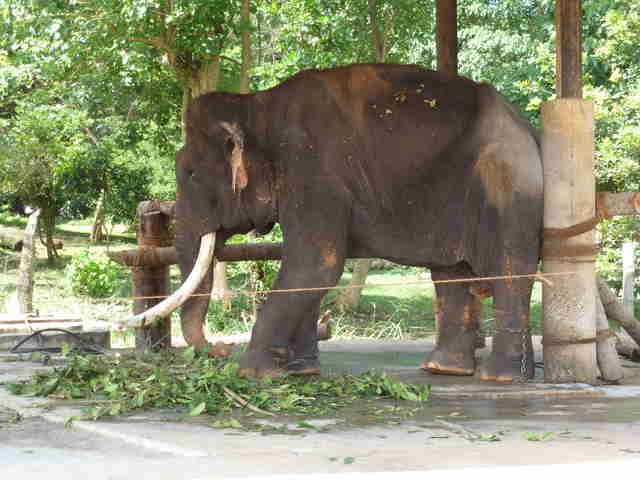 "The so-called caretaker would pierce them with these long sharp and pointy spear/rods … it made the elephants scream." 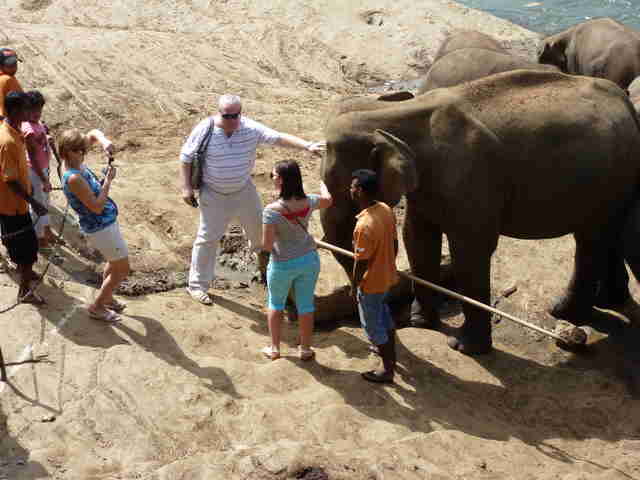 Tourists show up to the Pinnawala Elephant Orphanage because they love elephants and want to see them happy. But what they find is that they’re anything but. Commenters on TripAdvisor echoed those sentiments. Located in Rambukkana, Sri Lanka, the Pinnawala Elephant Orphanage claims to be a refuge for rescued elephants who can no longer survive in the wild, as well as a baby elephant nursery. Visitors can interact with the animals by bathing them in the river, feeding them fruit and even giving baby elephants bottles of milk. 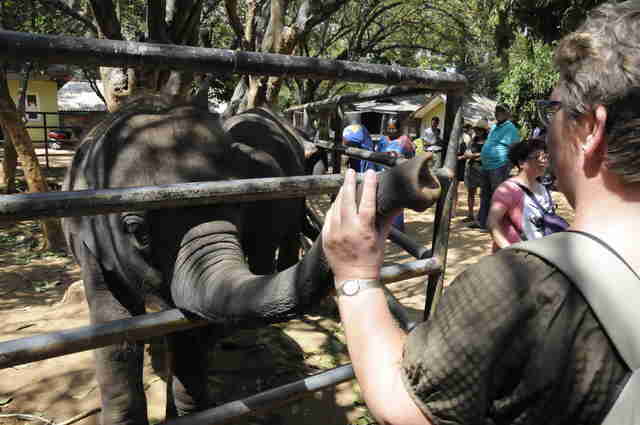 Yet animal welfare advocates — just like the scores of tourists who have visited — have serious welfare concerns about Pinnawala, which they believe is neither an orphanage nor a sanctuary. Many elephants have large metal chains wrapped around their legs, which prevent the animals from moving around and expressing natural behaviors like lying down, playing, socializing and bathing themselves in dust or water. Toni Frohoff, an elephant biologist with In Defense of Animals (IDA), has similar concerns. 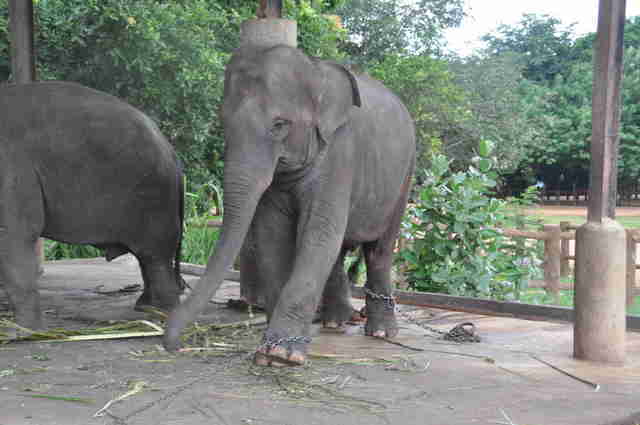 Based on visitor photos on TripAdvisor and Facebook, it appears that both adult elephants and baby elephants are chained up. 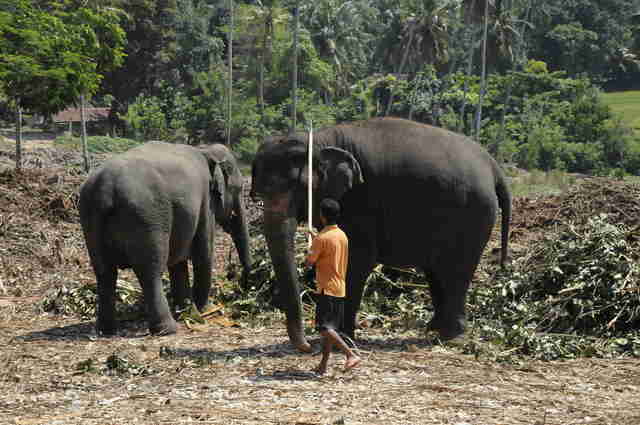 The mahouts, or caretakers, at Pinnawala Elephant Orphanage also use bullhooks — long instruments with sharp, pointed edges — to force the elephants to behave in a certain way. Sadly, bullhooks are commonplace in circuses, zoos and other facilities that use elephants for entertainment — but an orphanage or sanctuary should know better than that, according to Khetan. “There are rampant reports of how the handlers are very aggressive with the elephants, and they use a lot of aggressive techniques to ‘train them from being aggressive,’ which is unnatural,” Khetan said. 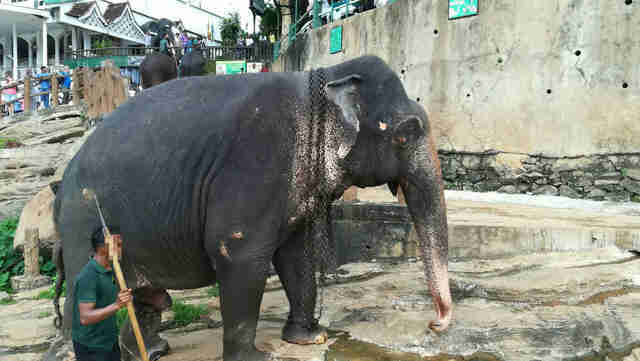 To gain entry into Pinnawala Elephant Orphanage, visitors need to pay 2,500 Sri Lankan rupees (about $16 USD) for an adult ticket and 1,250 rupees (about $8 USD) for a child. Yet the facility makes extra money by charging visitors to pose with elephants for selfies, according to Khetan. “We understand that it costs money to [run a sanctuary] and you have to come up with creative ways to drive income, but once you’ve moved to the point where you’re not only charging people to come in, but you’re actually charging people extra to interact with the elephants, you’ve moved well beyond the rescue and care of an elephant, and you’re really now moving into the world of your business that’s intending to make money,” Khetan said. Carla Pisarro, U.S. communications manager for World Animal Protection (WAP), an international animal welfare group, also believes many facilities offering selfie opportunities aren’t placing animal welfare at the forefront. In fact, WAP’s research showed a 292 percent increase in the number of wildlife selfies posted on Instagram from 2014 to 2017. Over 40 percent of these were deemed “bad” wildlife selfies — photos that showed someone holding, hugging or inappropriately interacting with a wild animal. 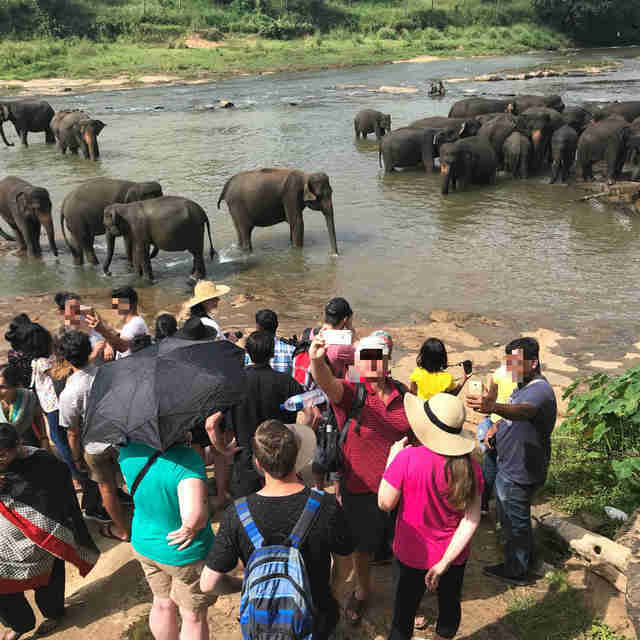 “This explosion in the popularity of selfies with captive wild animals like elephants normalizes behavior that puts wildlife in jeopardy,” she said. Based on tourist reviews, it also seems that the mahouts allow people to ride on the backs of elephants at an extra cost — and this is something that also worries Khetan. Elephants who give rides have been through something called a training crush — mahouts will shove the baby elephants into cages, starve them and beat them into submission. 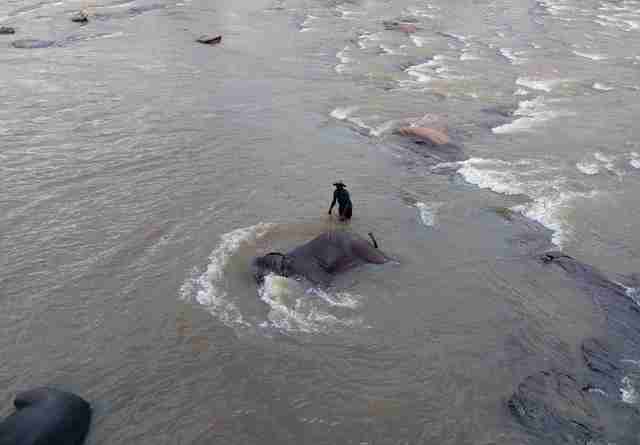 Once an elephant’s spirit has been broken, the animal will obey the mahout’s commands. 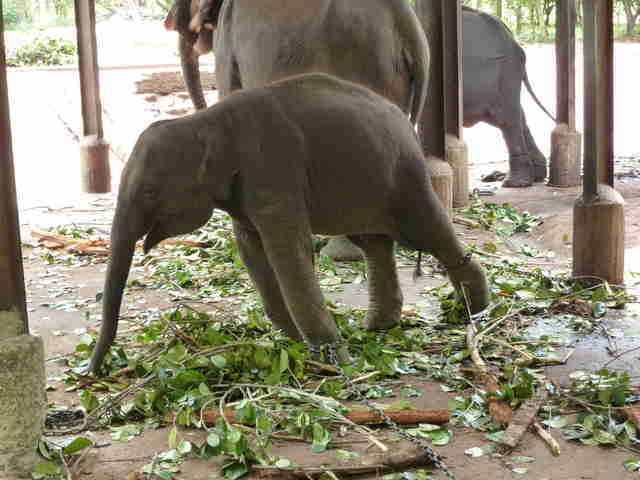 Pinnawala Elephant Orphanage is also breeding its captive elephants, and selling the babies to zoos in Europe and other parts of the world, according to Khetan. Captive breeding programs are also rarely successful, according to Frohoff. "Captive breeding programs for elephants do not contribute to conservation, which can only really occur in the wild,” Frohoff said. “Elephants have been dying in captivity faster than they can be successfully born because of environmentally and physically absurdly unnatural conditions. Elephant culture and society has involved mothers learning maternal skills from their related elders, but this is typically lost in captivity where unrelated individuals are artificially forced to be housed together." 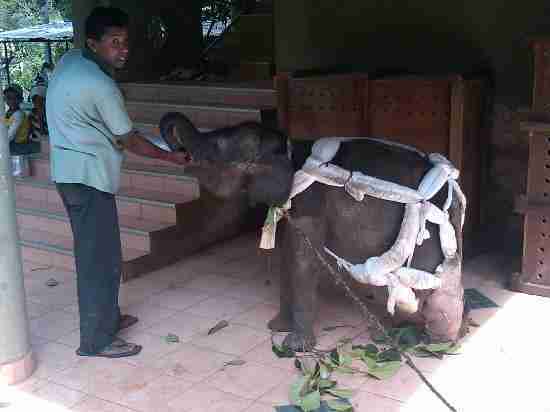 The Pinnawala Elephant Orphanage did not respond to The Dodo's request for comment on any of these issues. 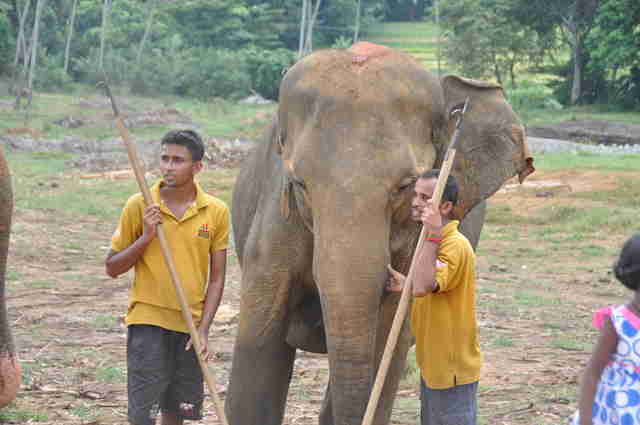 Despite the negative reviews that continue to pop up about Pinnawala Elephant Orphanage, the facility has continued to operate and receive visitors — but Khetan believes the public can play an important role in fostering change. 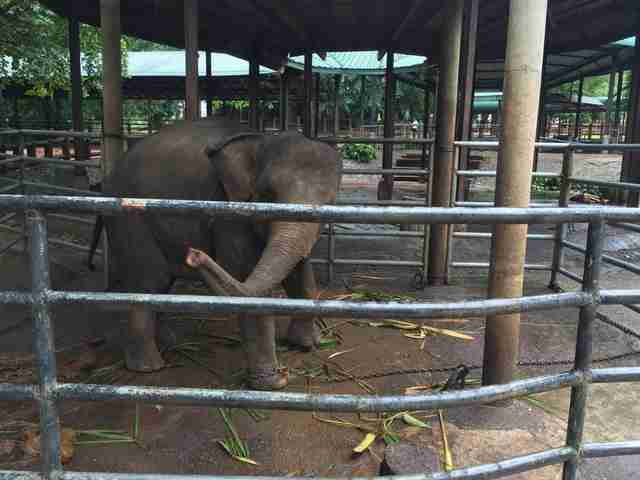 Khetan also hopes people will continue to speak up about Pinnawala Elephant Orphanage and other facilities where animals are being mistreated or exploited. “If you go to a place like this, and you see things like chains and handlers using bullhooks, let people know about that, because that’s the best way for us as society to know that this is going on, and why we shouldn’t go to a place like that,” Khetan said. It’s important to note also that there are legitimate sanctuaries and orphanages where people can have limited interactions with elephants in a safe environment. A few are Elephant Nature Park and Boon Lott's Elephant Sanctuary in Thailand, as well as the David Sheldrick Wildlife Trust elephant orphanage in Kenya. 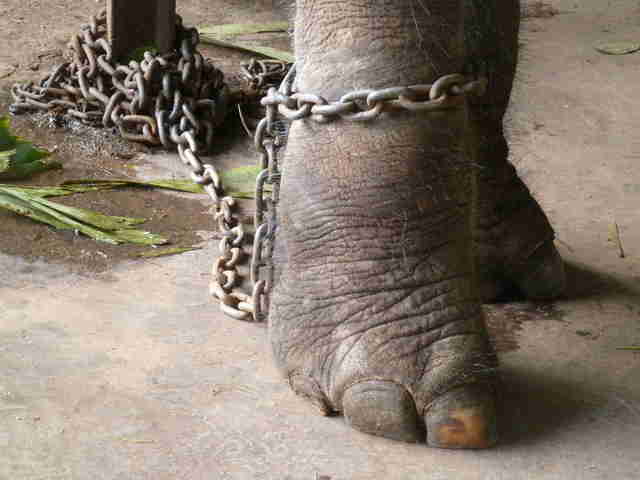 Any place that offers elephant rides, puts them in chains, or subjects them to bullhooks should be a red flag to tourists. To support investigations of facilities like the Pinnawala Elephant Orphanage, you can make a donation to Born Free USA, In Defense of Animals and World Animal Protection. You can also help animals by signing this pledge to never take a selfie with a captive wild animal.